I feel like I write about Mexican food too much. 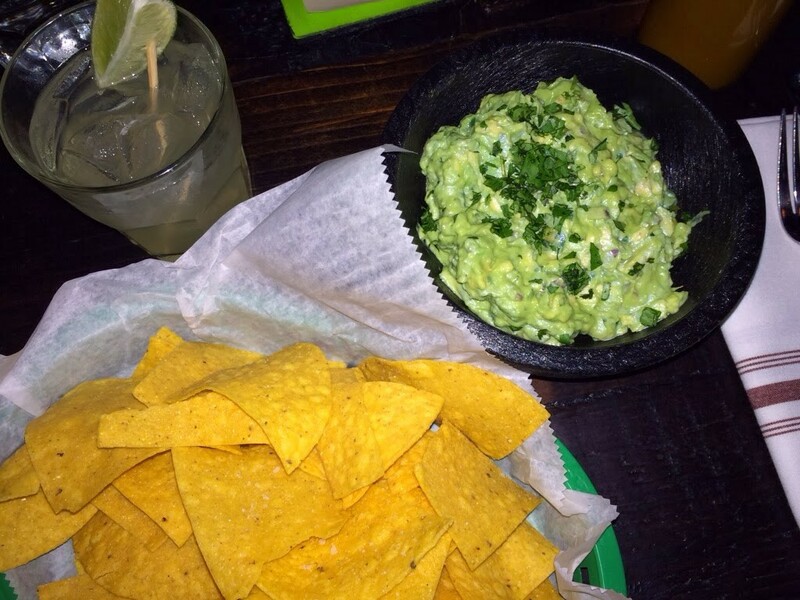 Are you tired of hearing about margaritas and guacamole? I don’t think I could ever tire of those two things… And so I have another Mexican restaurant review for you today. Sorry I’m not sorry. As I mentioned last week when I told you about my visit to Nino’s of Boca, my little sister and her BFF were in town for a bit. Naturally, this means many nights of going out to eat. It was the perfect excuse to try out a new place that just opened in Delray Beach, El Camino. It’s right next door to The Office off of Atlantic Ave. Downtown Delray has a huge variety of restaurants, but the one thing they have been severely lacking in is Mexican food. I’ve heard pretty good reviews of El Camino, which only made me want to go more, so of course I got a group together (another one of Bec’s BFFs lives down here with her fam too, so they also joined us) and we all got to experience El Camino in all of it’s opening-month glory. I ditched my love for margaritas for the night and tried one of their specialty cocktails: the 50/50. Mezcal, Blanco, Lime and Agave… I love the smokiness of mezcal. 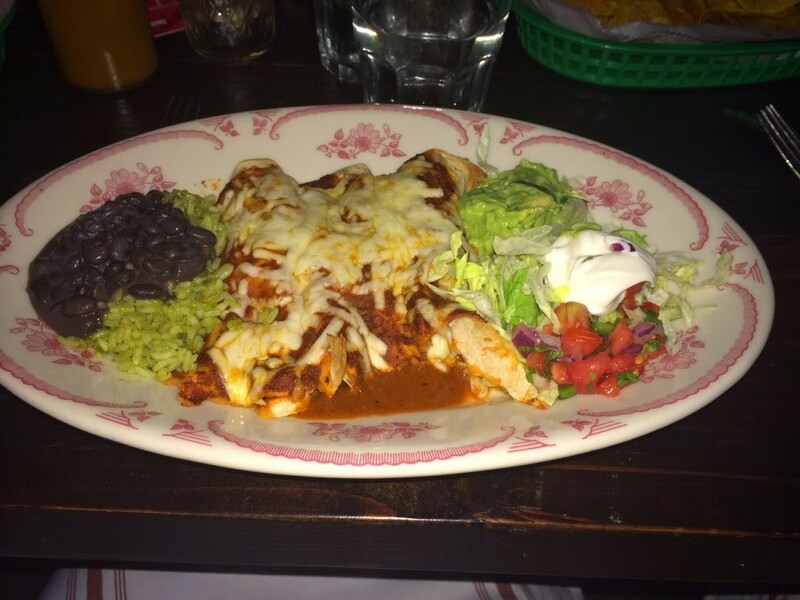 Some of the dishes on the menu are pretty different from your standard Mexican fare. Like the Squash Blossom Quesadilla with herbed mushrooms, Oaxaca cheese on a house-made blue corn tortilla; I didn’t get it this time, but the next time I go I’m totally ordering that. What I did get was equally as unique, and so freaking delicious it’s making me hungry just thinking about it! The House Salad… sounds super boring, right? Wrong! 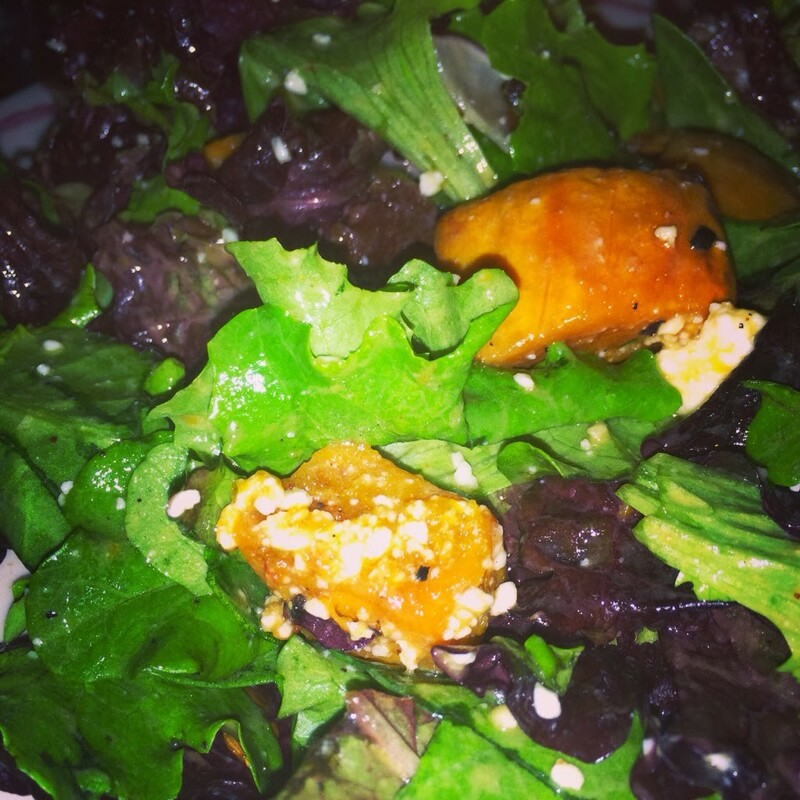 It had roasted pumpkin, pepitas, queso fresco, and radishes on a bed of mixed greens and tossed in a maple dressing. Does that sound like the average “house salad” to you? Uh, nope, I don’t think so. 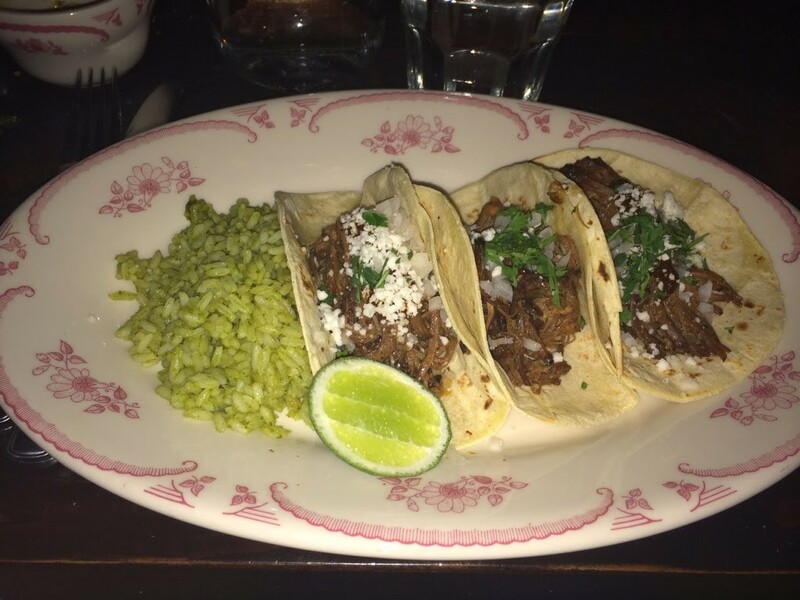 Other dishes scattered among the table were the Cheese Enchilada, Barbacoa Tacos (brisket), Chicken Quesadillas, Carne Asada, and sides of their Green Herb Rice. Another appealing part about El Camino is the very reasonable prices. For 7 of us, the total was really not that bad at all. And Happy Hour prices are even better; at the bar, select margaritas and cocktails are $5 and you can get appetizers for next to nothing! I’m talking $1 chips and salsa and $2 Gringo Taco. There’s even a late night Happy Hour with even better specials! It’s about time Downtown Delray got a little Mexican flare! I am looking forward to stop here on my next visit and meeting our friends too!